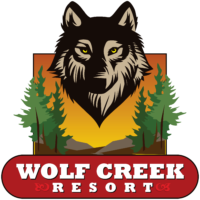 The Wolf Creek Resort is located at 41421 Big Bear Blvd, Big Bear Lake, CA 92315, just a few minutes drive from the lake, restaurants, ski lifts, and everything else that makes Big Bear such a fantastic place for vacationing families and travelers. We are open from 8AM -9PM Sunday through Thursday and 8AM-10PM on Friday through Saturday! Please use the section below to schedule your stay. You won’t have to worry about parking at the Wolf Creek Resort, as our lot contains plenty of spots for all our guests.